LORAS COLLEGE – Warmer temperatures finally gave us our first glimpse of spring this past week. But as it usually goes with Iowa springs, temperatures are fluctuating as the week goes on. 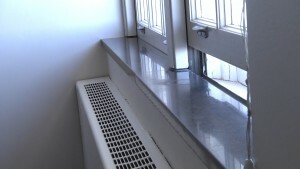 These higher temperatures are causing quite a few windows to be opened on campus in an effort to control the climate in buildings, both academic and residence halls. So the question is, how do these open windows affect the way campus is heated and how do maintenance crews decide when to shut the heat off completely? 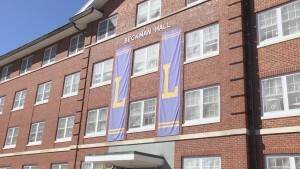 While opening windows to cool down a room might seem like money going straight out the window, maintenance crews say it’s a necessity with the older buildings on the Loras campus. They say turning the boilers on and off is costly and puts a lot of wear and tear on the system. So the boilers stay on until the forecast is steadily warm and they know they won’t need to fire them back up. Loras currently spends about $400,000 to heat over 1.1 million square feet of campus. The hope is to create a more efficient way to control the climate in older buildings in the future. Melissa is a junior at Loras College originally from Balltown, IA. Melissa is Associate Producer of LCTV News. She enjoys learning more about Dubuque and the Loras community through the work done by herself and the entire LCTV crew. Melissa has been involved in Loras College Television for the past two semesters and looks forward to everything to come.